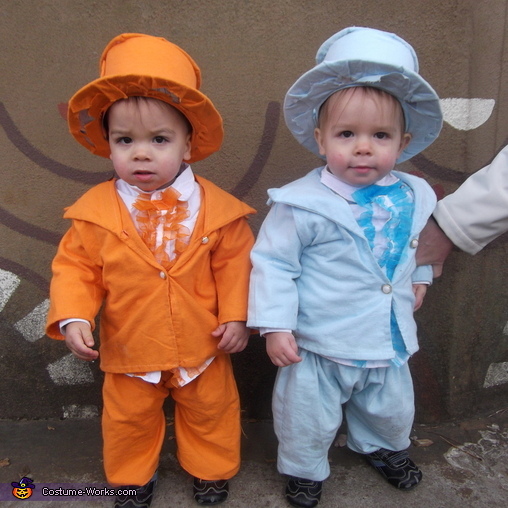 My 1 and 1/2 year old twin boys Lennon and Noah are dressed in the powder blue and orange suits from the movie Dumb and Dumber! Made the suits from flannel fabric and bought white dress shirts and sewed the ruffles on too. Hats were made from cardboard and poster board with the flannel fabric hot glues on. Cost for both suits was around 35 bucks! Big fans of the movie and dynamic duos!